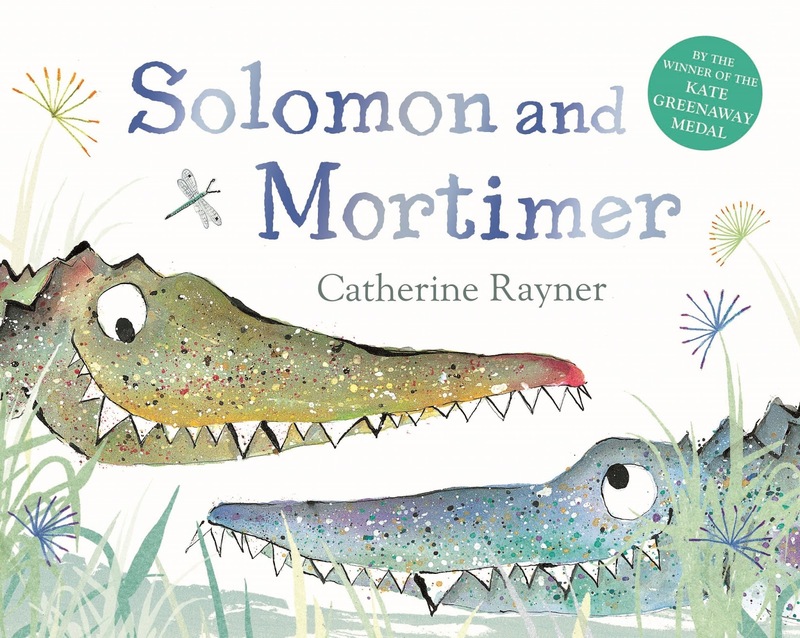 Solomon the crocodile is back and this time he's got an accomplice...Mortimer. And when you get two bored crocodiles, you know they are hatching up a plan to have some fun. After going through a series of options (tree-climbing, chasing lizards and flying), Solomon and Mortimer have an idea that is sure to get their crocky spirits up. 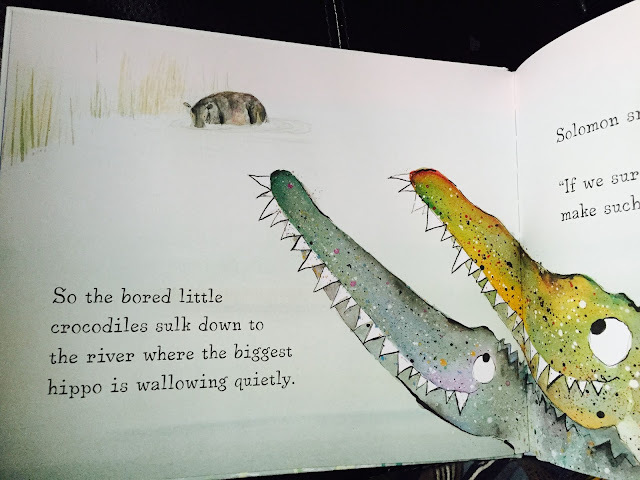 But it is at the cost of an "unsuspecting" hippo. Their plan is to SURPRISE hippo and startle him. Hehehehehe....they think, imagining the BIGGEST splash hippo would make when that happens. The thought of it just makes Solomon and Mortimer giggle with glee. But hippo is not to be fooled. And in their crafty excitement, Solomon and Mortimer miss the slight actions of hippo as they move deftly towards him. Hippo's eyes swivel and his tail twitches ever so slightly. 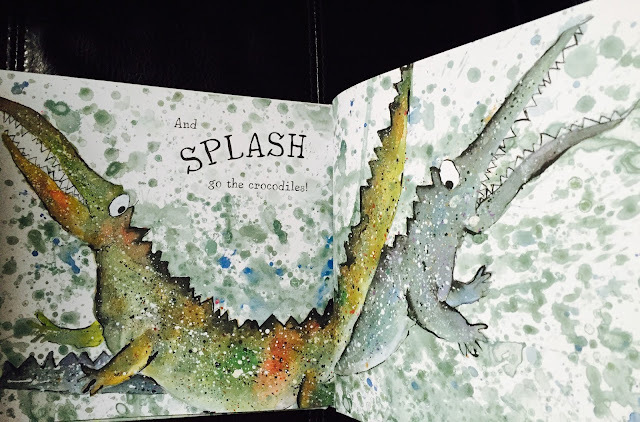 Other animals warn the crocs of impending doom and to give up their pranks, but Solomon and Mortimer ignore their pleas. And so, squatting low in the water they are ready to leap. When..... a SURPRISE throws them off their own game. 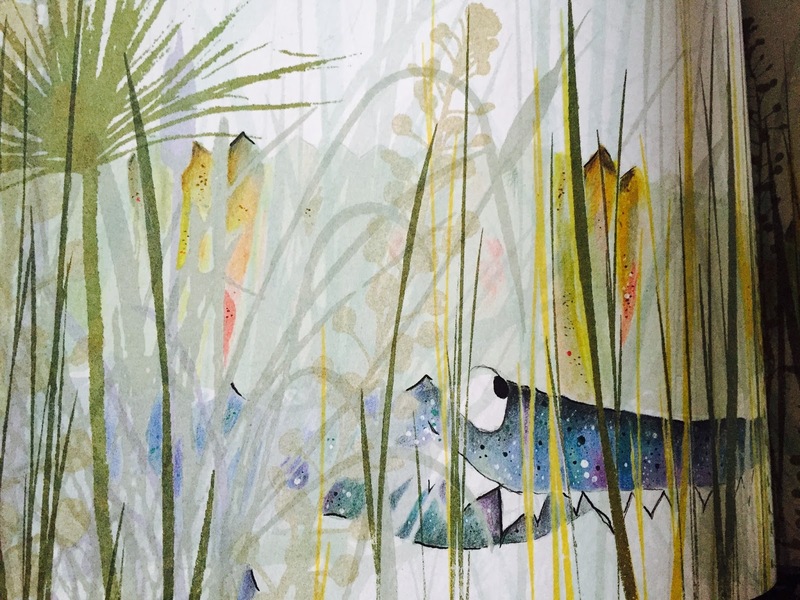 Catherine Rayner, winner of the Kate Greenaway Medal, has written a book that kids will be asking for again and again. 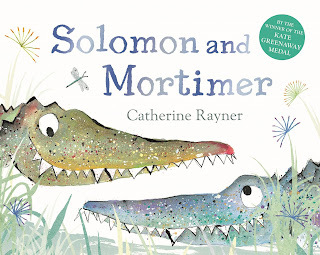 Solomon And Mortimer is published by Pan MacMillan, and distributed in Canada by PGC Books.